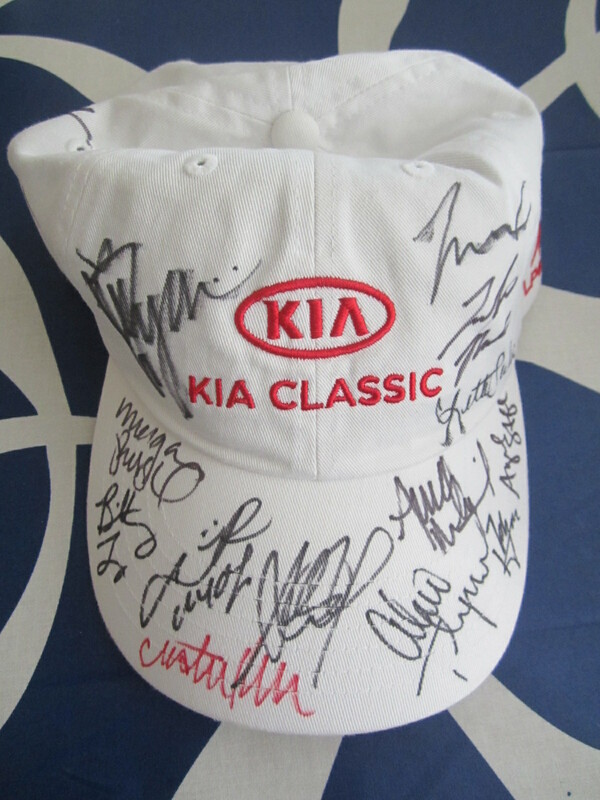 2016 LPGA Kia Classic white golf cap or hat autographed in black marker by 16 of the world's best female golfers: tournament winner Lydia Ko, Lexi Thompson, Ai Miyazato, Sandra Gal, Lizette Salas, Inbee Park, Cristie Kerr (in red), Hall of Famer Karrie Webb, Shanshan Feng, Brittany Lang, Brooke Henderson, Yani Tseng, Morgan Pressel, Angela Stanford, Michelle Wie and Anna Nordqvist. Obtained in person at the event. With certificate of authenticity from AutographsForSale.com. ONLY ONE AVAILABLE FOR SALE.